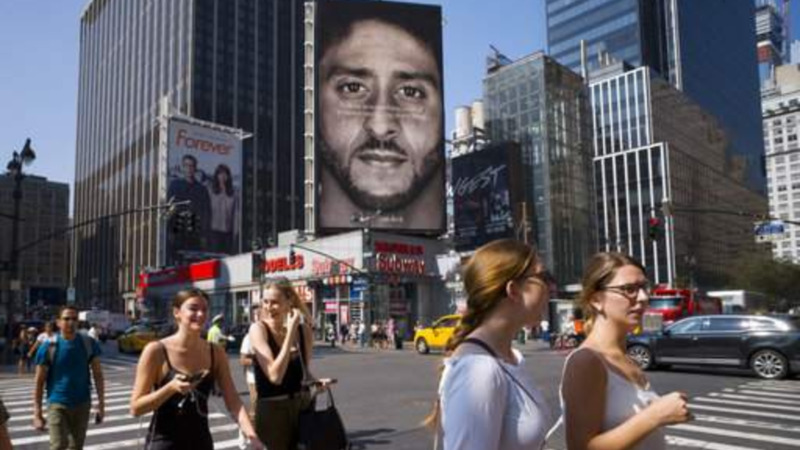 Large Nike billboards featuring Colin Kaepernick have gone up in New York City and San Francisco on Thursday. Many passersby in those cities were in favour of the new ad campaign. Nike has touched off a furor by wading into football's national anthem debate with an ad featuring Kaepernick, the former 49ers quarterback who was the first athlete to kneel during "The Star-Spangled Banner" to protest police brutality against blacks and hasn't played a game since 2016. 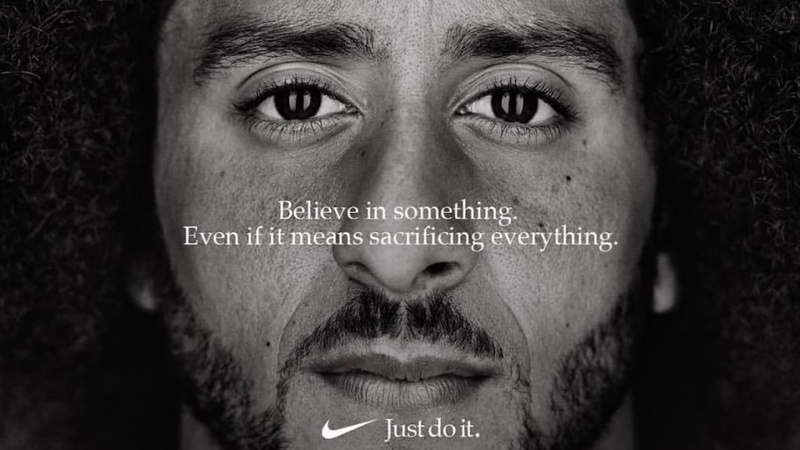 The ad copy reads: "Believe in something, even if it means sacrificing everything." The ad, part of Nike's 30th anniversary "Just Do it" campaign, has outraged many. Online, people threatened boycotts and posted videos and photos of shoes set on fire, Nike gear thrown in the trash, and swoosh logos cut out of products. 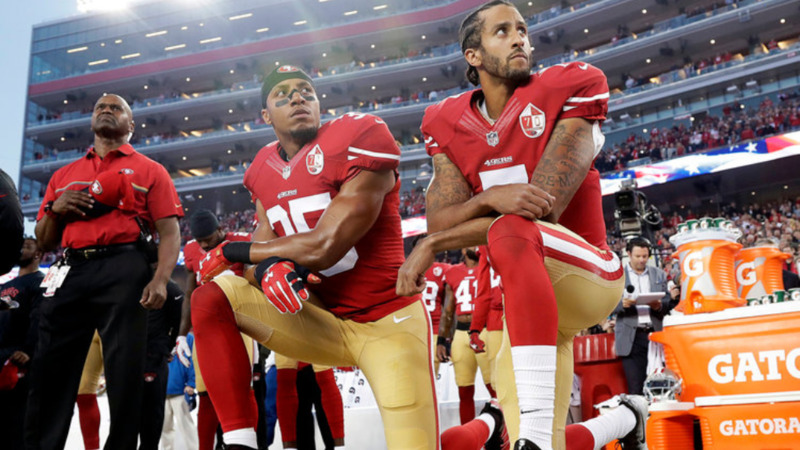 Most big corporations steer clear of politics, and marketing experts disagreed over whether the Kaepernick campaign is good business. But some noted approvingly that it made a big splash and set Nike apart. 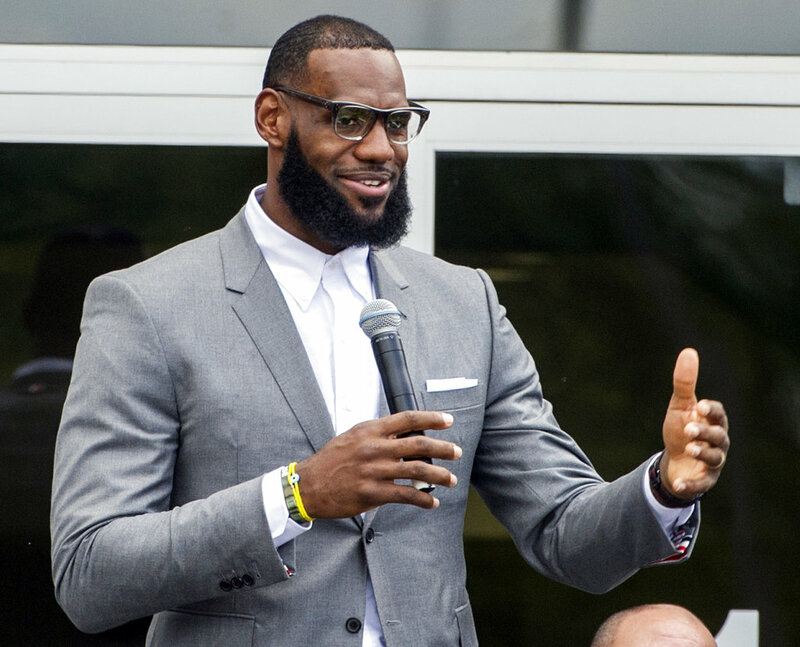 And they said it could solidify Nike's bond with athletes, especially black ones, an important consideration for a company that relies heavily on sports stars to endorse its products.